A lower ratio could be due to a combination of factors — lower currency supply, shrinkage in cash-dependent enterprises due to the note ban, and shortage of cash in pockets of the economy. Economists say reading the ratio in isolation could be misleading. The government has presented a lower cash-to-GDP ratio as a key achievement of demonetisation, and a measure of black money being checked. Economists, however, caution against reading this metric in isolation. Prime Minister Narendra Modi said last month that the cash-to-GDP ratio is down to 9% after demonetisation, from over 12% earlier. “Was it possible if a new era of honesty had not been ushered in the country, in the economy of the country?” he said at The Institute of Company Secretaries. Economists, however, say reading the ratio in isolation could be misleading. Apart from a shift towards digital transactions, a lower ratio could be due to a combination of factors — lower currency supply, shrinkage in cash-dependent enterprises due to the note ban, and shortage of cash in pockets of the economy. “To say that a 12% cash-to-GDP ratio for India is too high, when compared with other countries, is incorrect. This comparison is not valid,” said Pronab Sen, former chairman of National Statistical Commission. “Since India has a large informal sector, its cash needs are also higher. There may be legitimate need for cash. A lower cash-to-GDP ratio could mean that the informal sector has shrunk due to demonetisation thereby needing lower cash, indicating rise in unemployment. It could also be on account of people shifting from cash-based transactions to informal credit-based transactions,” Sen said. 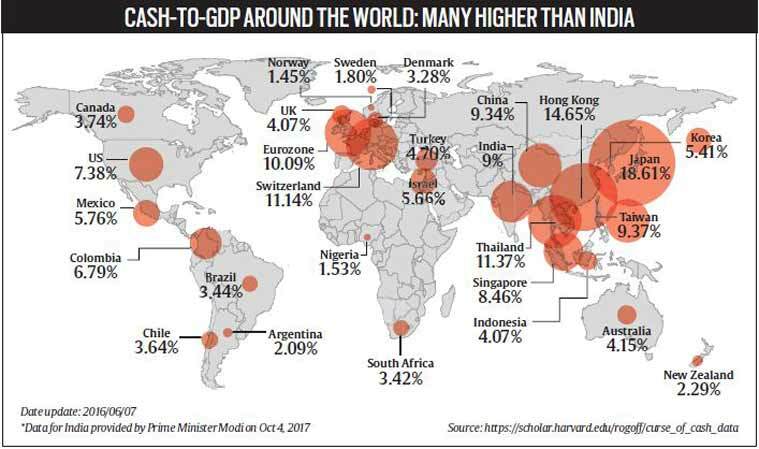 Among the developed and acknowledged-as-honest economies, Japan —whose formal economy makes up a higher share than India’s — has the highest cash-to-GDP ratio at 18.61%. Hong Kong has 14.65%, Thailand 11.37%, Switzerland 11.14% and the Eurozone 10.09%. The fact that these ratios are higher than India’s indicates that a lower ratio in itself does not address the problem of black money. “The entire informal sector mainly deals in cash and this does not mean that all cash is black. 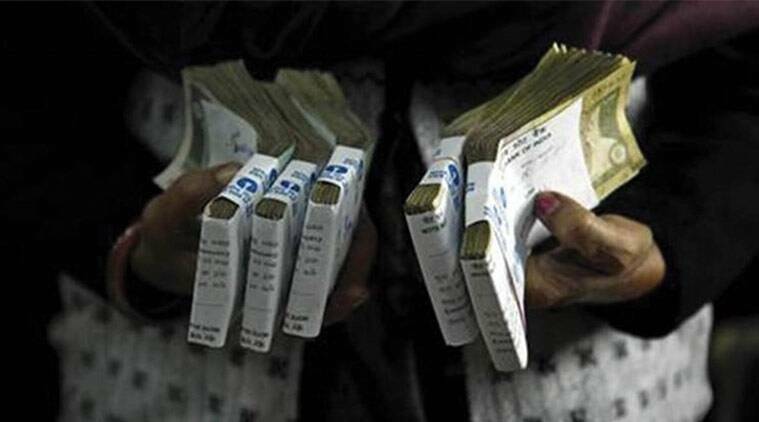 Cash-to-GDP ratio would depend upon the status of the economy, the proportion of the informal economy, whether it is an unbanked society or fully banked,” said D K Pant, chief economist at India Ratings & Research. As more cash has become available, people are moving back to cash transactions, Pant said.